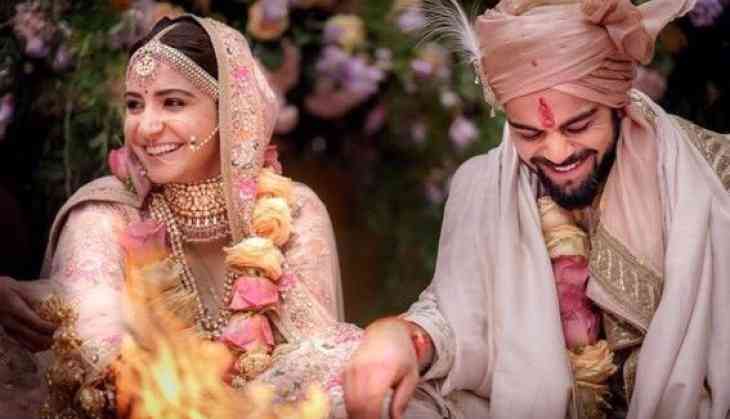 Bollywood actress Anushka Sharma and Indian cricketer Virat Kohli are finally married. The couple tied the nuptial knot at a countryside resort in Italy over the weekend. A similar tweet posted on Virat Kohli and Anushka Sharma’s individual (official) account reads, "Today we have promised each other to be bound in love forever. We are truly blessed to share the news with you. This beautiful day will be made more special with the love and support of our family of fans & well wishers. Thank you for being such an important part of our journey." It was a hush-hush wedding where entry was strictly by invitation. Bollywood actors and other celebrities took to twitter to wish the couple a happy married life. Madhuri Dixit: Congratulations to you and Virat...May you be blessed with a joyous and blissful Married life..
Shraddha Kapoor: Congratulations @AnushkaSharma & @imVkohli !!! Wish you guys unlimited laughter, amazing memories and a lifetime of togetherness! Farhan Akhtar: @AnushkaSharma @imVkohli heartiest congratulations to you both and to your families. Best wishes. Kunal Kohli: Great news. congratulations to @AnushkaSharma and @imVkohli on your wedding. So happy that both of you took this step. What a gorgeous couple you make. Both so committed to your work and each other. God bless you both. Abhishek Bachchan: Many congratulations to @AnushkaSharma and @imVkohli on their wedding. God bless and welcome to the club! Vishal Dadlani: Congrats, @AnushkaSharma & @imVkohli ! This picture is gold!!! You guys look utterly resplendent! May the glow be eternal!